This particular brew, Okabe Maru by Hatsukame Brewery in Okabe Cho, Shida Gun, has recently become very popular with ladies and has turned into a regular feature at numerous “Saketen”! I just love the retro label! 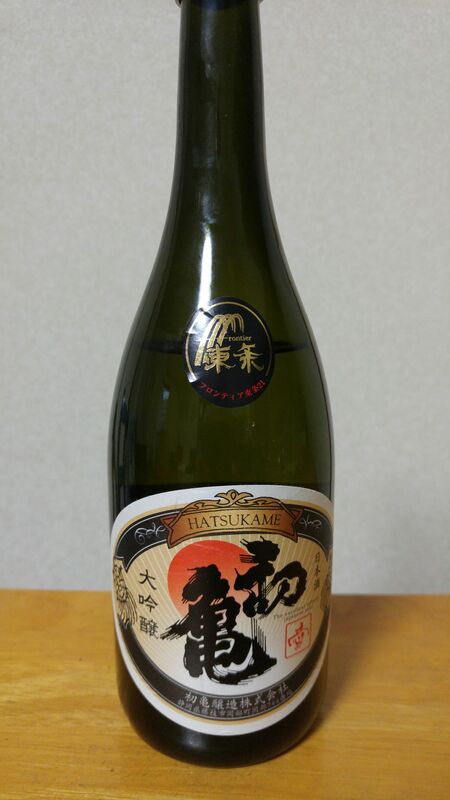 This was the first bottle tasted at by the Hamamatsu Geeks on March 21st. Aroma: Fruity, spicy. alcohol. pineapple. Taste: Fruity with a strong junmai tingle: almonds, chestnuts, pineapple. Short tail, calls for a second sip. Welcome acidity with second sip. Bitter choclate appears on the palate. Overall: A bit extravagant junmai at 55% millage! Drinks very easily on its own. Probably best appreciated as a classy aperitif. Interestingly enough, ladies found it sweetish. 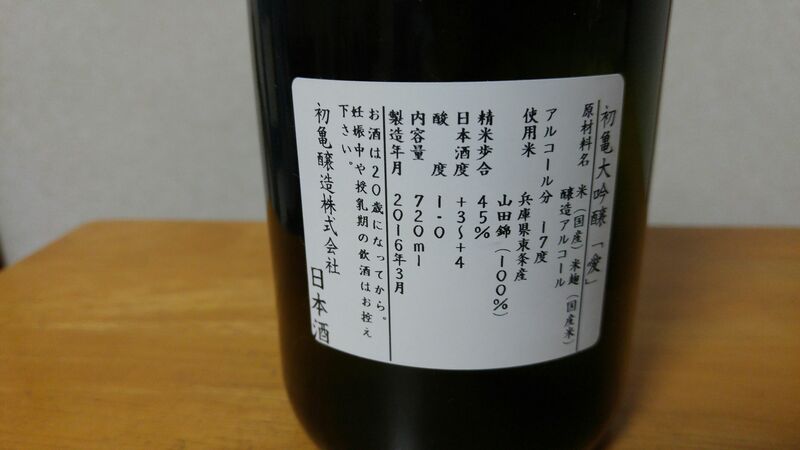 This particular brew by Hatsukame Brewery in Okabe Cho, Shida Gun is put out every year in the first week of March as a very limited edition to be drunk as soon as possible. It is impatiently waited by many local sake fans, izakaya and restaurants. Taste: Fruity, pineapple, peach, apricot. Strong alcohol and nama tingle. Welcome acidity with almonds appearing later, especially with food. 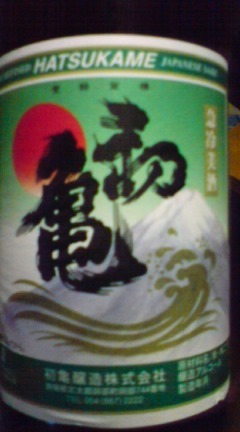 Overall: Unusually “sweet” for a Shizuoka Sake. Can be drunk for its own sake, but goes down very well with food. Shows many facets with further sips. Could be drunk as a digestif after a meal. 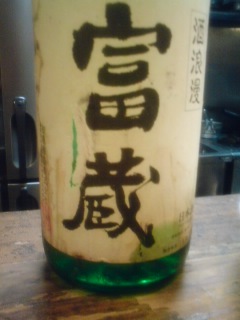 Interestingly enough, the Master Brewerrequests this sake to be drunk within 10 days of its bottling. Well, I started it March 18th. No problem, whatsoever!